I started my artistic practice in drawing and painting as these were the practices used to apply for art studies in the eighties and the nineties. I attended the Norwegian Art Academy in two rounds 1982/84 and 1991/93 , the first one being in the painting and printing departments, and the second in the sculpture department. I understood, whilst in the sculpture department, that my research was of a rather performative character than a practice focused on a static object, which was a subject for criticism from the artists in charge of the department. It is important to say this because no one was able to share knowledge and create discussions about performance art in a constructive way, but rather in defensive ways. Nevertheless though, at the end of my studies, Kurt Johannessen was invited to direct a workshop which I attended. Another workshop was very constructive, the one directed by the Bergen architect Svein Hatløy who was also the founder of the Bergen school of architecture which was very much criticized by the establishment at that time. In the 1990s and 2000s, I was a part time teacher at the Rogaland Art School. I taught mostly printmaking and it took many years before the school was ready to set focus on performance art studies. The process of creating my performative works grows from my reflections and inner dialogues in relation to everyday life. These may come from my close surroundings, the people I meet and the media which connects me to the wider world which I am part of. I develop subjects simultaneously,. they are related to my identity and culture which has been created over time by various sources. I have a French/Norwegian, Calvinist/Lutherian family background and attended non religious schools which were based on the french concept of secularism. This was a major influence in my decision to create live art which I developed over the years despite the generally strong pressure to create physical art products or entertain the audience. My interest in making various exercises, which integrate «the other in me», is a focus for creating works, as well as the dynamics which put me out of balance. I remind myself often that each of us needed to learn the act of walking once- walking puts us into movement by setting us out of balance. For the PAO festival, I choose to work with «IMPRINT - clubs, daggers, cutlasses» created after a poem by Torild Wardenær. The subject, weapons and the body, triggers in me the tabu and silence surrounding these subjects. In this work I aim to express my concern about the massive migrations we are experiencing coming about, due to escalating conflicts made possible by the use of weapons and their impact on our bodies. My latest project, «LANDSCAPESnFIGURES» is a landscape painting, sculptural installation and performance project in progress. It has it’s source in a work which I started in 2003 when I was thinking about what the fences we build around ourselves look like. Read more about it at https:// landscapesnfigures.wordpress.com. In the actual performance For «IMPRINT - club daggers cutlasses» I use paper, print materials and my body. In this work, I make the process of printing the performance subject. I connect the act to the process of cleaning a weapon between uses. I use my body in the process. I can either say the poem loud under the printing process or have the video with the recording of the poem projected on a screen. To make the printing process the art work and not the print makes sense in several ways and having tried to have the performance shown at the Printers association gallery in Oslo without success, I keep being triggered by the fact that the mainstream still gives space and power to the traditional art piece. Comparing the printing process of a three dimensional object, a toy looking like a weapon, to the cleaning (with love) of the real weapon, empowers the subject loaded with cultural meaning. It varies depending on the character of the performance. In «IMPRINT - Clubs daggers cutlasses» I need the audience to sit around and watch the whole performance through and therefore a festival setting is required. In installation performances, I invite the audience to move in and around the work like projects «Burq@» at Tou Scene 2014 and «LANDSCAPESnFIGURES» at the ferry terminal in Stavanger 2017 and «Skumring, morgenrød, jordens rotasjonsbevegelser» at Hå Gamle Prestegård 2007. Other performative works can be «stunts». 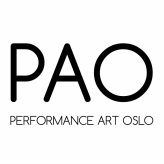 I am then active and move among people improvising in the moment in public spaces like the main Railway station of Copenhagen, at Stavanger peer, exhibitions openings or sometimes alone in various landscapes... Some are workshop performances where the audience participates such as with the works «RubsCULpTURE» and «Balance». How do you make your living meaning money? Funny I should ask that question... a question continuously asked to artists which has irritated me often until I realized that it is quite central to my own focus in creating art. Though I have found a certain balance in diverse income like 18 years teaching in the art school, 30 %, grants, some project payments and curating jobs, I use to tell people that in our rich civilization, it is difficult to get the money necessary for many of us to exist working full time with art. It is also important to mention that I made use of the social system twice. I keep creating process based artwork, in spite of outside expectations on creating object focused or entertaining art which sells. My aim is to success creating a balanced life matching those ideas.